Amanda Clark was born and raised in Maple Ridge, British Columbia. Amanda comes from a family with opticians, which influenced her decision to pursue the field of eye care. She completed a two year dispensing optician program at Douglas College. Amanda has worked alongside Dr. Kalicinsky since Brookswood Optometry’s opening day. Her hobbies and interests are painting, running and vinyl collecting. 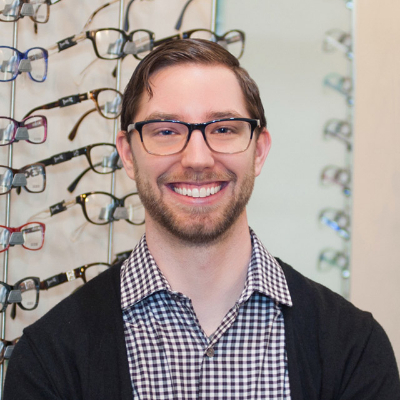 Kyle is an optometric assistant at Brookswood Optometry. He moved to Langley from Lethbridge, Alberta in September 2015. Kyle studied Optometry Sciences in Calgary. He enjoys connecting with the wonderful patients of Brookswood Optometry. Kyle also has a degree in Pastoral Theology. In his spare time he works as a Pastor at a local church. Kyle loves living in the beautiful lower mainland, and does his best to make time to explore the nearby mountains. He enjoys rock-climbing, reading, hiking, and playing board games. 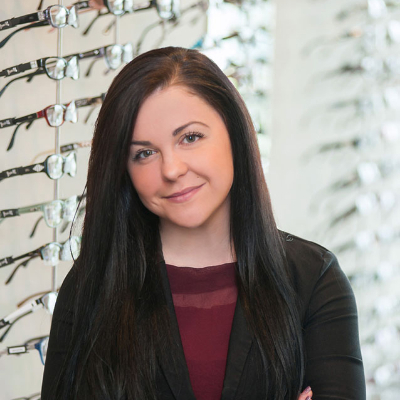 Terri-Lynn is a licenced optician at Brookswood Optometry. She completed her training at the BC College of Optics in 2007. 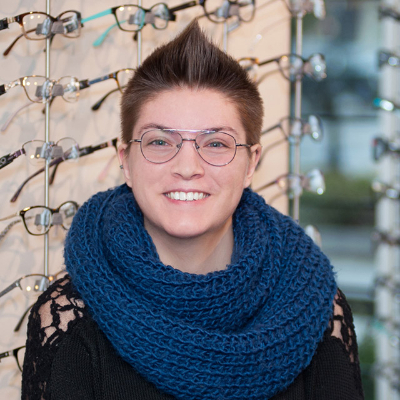 Terri-Lynn loves her career as an Optician and is thankful for it everyday. Through this passion she continues learning about her field through continuing education and gaining new experiences. Terri-Lynn grew up in the ranching and farming community of northern Alberta. Today she lives on a small hobby farm in Abbotsford. She loves spending time outdoors, horseback riding, and being with her family. 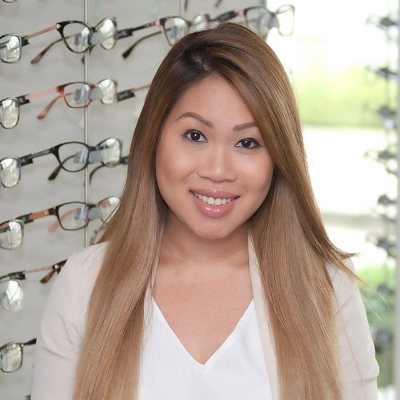 Mai is an optometric assistant at Brookswood Optometry. She has been in the optometric industry for 10 years. 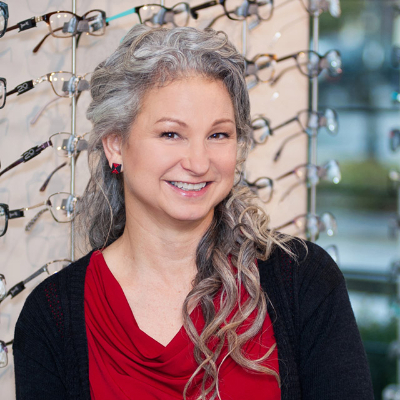 Mai enjoys helping patients find the perfect frame and lenses to suit their individual needs. In her spare time, she loves trying new restaurants and cooking for family and friends. Taking a special interest in the faculty of health and human services, Monica began her career in optometry by drawing inspiration from her mother’s career as an optician. 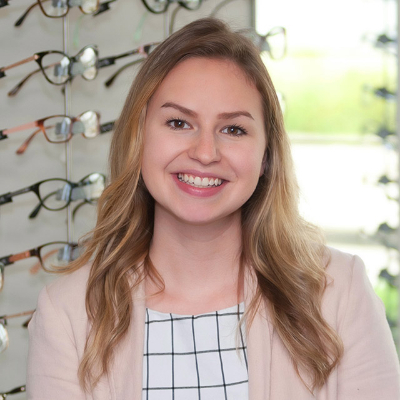 Naturally empathetic and detail oriented, Monica exemplifies her motivation to serve by creating a positive and inviting atmosphere for the community of Brookswood Optometry. In her spare time, Monica enjoys going to the gym, reading, playing guitar, and horseback riding. Sam has been working as a technician in optometry and ophthalmology for 5 years. Having lived half her life in Saskatoon, SK, she’s consistently thrilled by the different cultures here in the Vancouver area. She found a passion in overcoming language barriers with patients and now studies Linguistics and Communication. In her spare time she enjoys exploring, trying new foods, and playing games of all kinds.